The Brandon Artists Guild (the BAG) celebrates Vermont’s colorful scenery with a new exhibit of paintings and pastels by Middlebury artist Norma Jean Rollet. The show, “Portraits of the Vermont Landscape” runs September 1 through October 31. Opening reception is Friday, September 8, 5-7pm at the BAG, 7 Center Street, Brandon. The recipient of several awards for her work, Rollet is a member of the Vermont Pastel Society, Pastel Society of America, Degas Pastel Society, and International Association of Pastel Societies. The BAG welcomes the public to the opening reception for Norma Jean Rollet’s show, “Portraits of the Vermont Landscape” on Friday, September 8 from 5 to 7 pm. 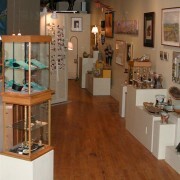 The gallery, at 7 Center Street in Brandon, is open Mondays through Saturdays from 10AM to 5PM, Sundays from 10AM to 4PM. Information: 802 247-4956. The Brandon Artists Guild is a cooperative with approximately 50 artist-members. A 501(c)3 nonprofit cultural organization, the BAG supports the visual arts through exhibitions, lectures, demonstrations and educational programs, particularly in local schools and after-school programs.